because no holds barred beats the pants off of beige! This page may contain affiliate links, including Amazon.com. Using links to these sites means I may earn a percentage of the purchase at no extra cost to you. See full disclosure here. Hey there, my Bold ones! I have another yoga printable for you today. Do you do yoga? 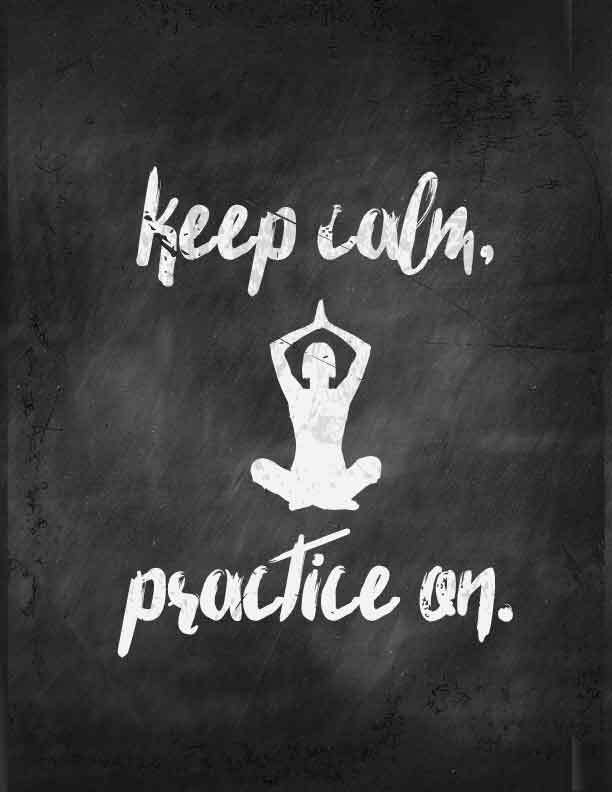 I love it because of the whole “practice” mentality. If I’m not good at some certain pose, it’s ok. It takes practice! That philosophy has bled out through my entire life. It’s helped me to realize that life doesn’t have to be perfect, especially not the first time you try something. It takes practice. Sometimes hours upon hours upon hours. Don’t give up. What ever you are doing, just look at it as practice. You grow with each new step and each new day. 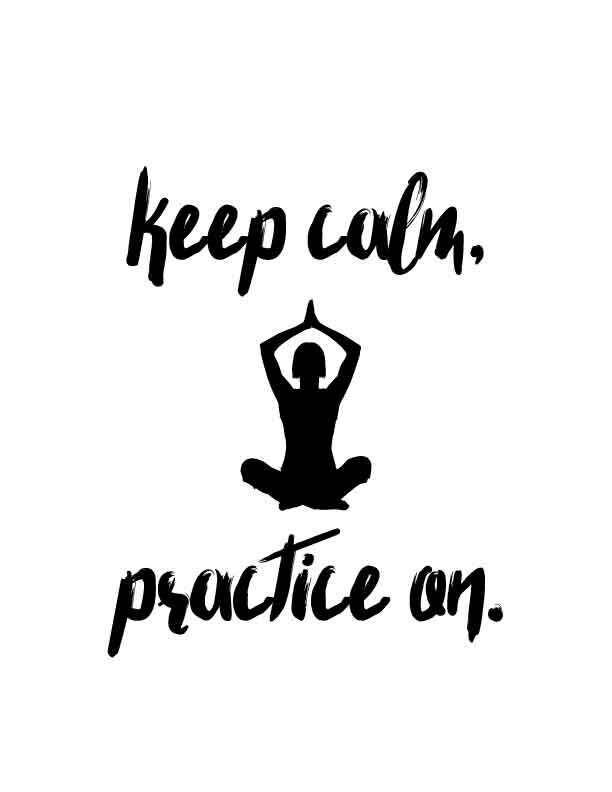 To download and print this Keep Calm, Practice On pdf printable, just click here. If you liked this printable, subscribe to my newsletter and you’ll receive my series of Gold Foil Printables! Subscribe and get 10 weeks of Free Printables! Thank you so much for sharing from The Bold Abode! Please keep in mind that all images and text on this site are property of The Bold Abode. Feel free to use one or two photos provided that a link back to my original post is included. Please do not remove any watermarks, crop, or edit any of my images without first obtaining written permission from me. All free printables offered are for personal use only. Pinning is always welcome and appreciated! Thank you! The Bold Abode is a participant in the Amazon Services LLC Associates Program, an affiliate advertising program designed to provide a means for sites to earn advertising fees by advertising and linking to amazon.com.